Bitter melon plants are vines that you can grow very easily in your garden or on your terrace, even in a pot. The best part of growing bitter melons is that they don’t need much attention. With a little effort, you can enjoy organic bitter gourd harvested from your own garden for months. Bitter melons are also called bitter gourds. It is a popular vegetable. Bitter melons are called “bitter melons” because of their bitter taste. Many people found this very disgusting, whereas many around the world like this plant for its unique flavor. Bitter gourds are very healthy food especially if you have diabetes. You can grow bitter melons in almost any type of soil from sandy loam to clay loam. But ideally, a fertile, well-drained soil with a pH of 5.5 to 6.5 is best for this plant. 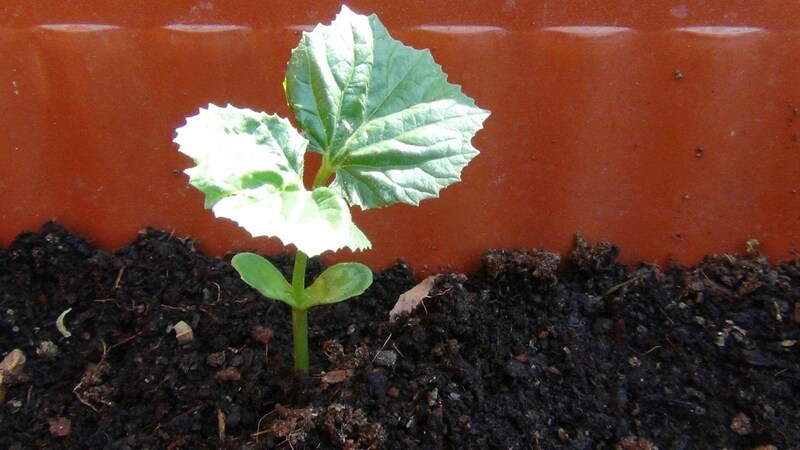 While preparing you soil add a bit of compost; it will feed the plant. Once the plant starts bearing flowers, add fertilizers to tackle its voracious appetite. Fertilizers such as bone meal, blood meal or some fish emulsion are best for bitter melons. Bitter melons are native to the humid weather condition. The best growing temperature ranges from 70 to 80 degree F.
As a fruit-bearing plant, bitter melons need at least 6 hours of direct sunlight. Lack of sunlight will reduce the optimum growth of the fruit. Bitter melons take around 10-15 days to germinate. But if you want to fasten the process, soak the seeds in water for 48 hours. Then crack open the seed cover with a pin without damaging the inner core of the seed. Sow 1 or 2 seeds at 2 cm depth. You can also use trays to germinate them, but they generally don’t transplant very well. They are very fast growing vines. So give them something to climb on to like a small horizontal trellis or a nylon net for the same. It is even better to plant them near the fence. Bitter gourd needs lots of water. Regularly water the plant and you will get flowering very soon (within 5-6 weeks). As a matter of fact, with some of the varieties, you can get mature fruits within 3 months of planting. Do a little bit of pruning from time to time. This can be as simple as removing the growing tip of some lateral branches when needed. Doing so will stimulate the higher branches and will produce a higher yield. Bitter melon fruits are very prone to rotting. To reduce the problem always use a trellis from growing bitters gourds. Trellis the vines. Hanging fruits are also easier for harvesting. In case you are not using any trellis, cover the soil with a mulch of dry leaves. This will protect the fruits from getting moist. Bitter gourd is a member of the Cucurbita family and like all other members of the family, it has both male and female flowers. It is the male one that blooms first, followed by the female ones. The degree of bitterness varies as per the maturity of the fruit. Smaller and immature fruits are more bitter than the matured ones. Harvest them when they are 4 to 6 inches long and are green. Pick the fruit when they are still green and firm. Fruits which become spongy or yellow are over ripen. Once you harvested enough fruits store them in a plastic bag inside a refrigerator. For more tips on storing of vegetables use this link. You can eat immature fruits, leaves, young shoots in soups and curries. You can also stuff the fruit, steam or pickle it. 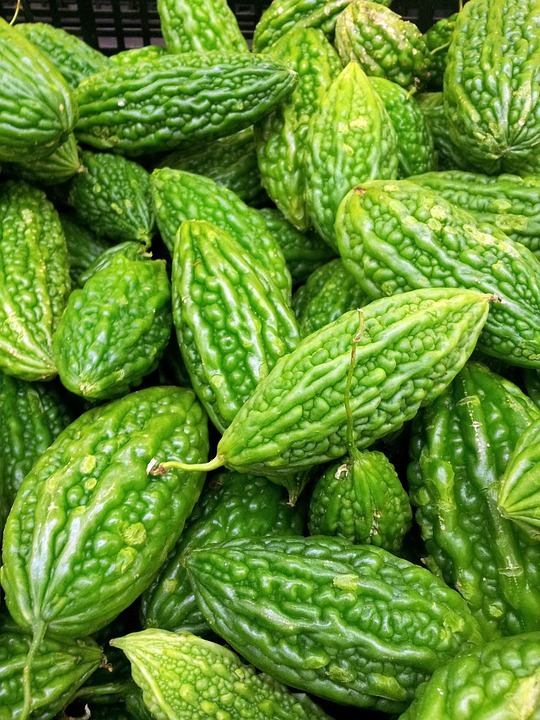 Bitter gourd fruits contain polypeptide-P, vegetable insulin that lowers blood sugar level. It has twice the beta-carotene of broccoli, twice the potassium of bananas, and twice the calcium of spinach. It also contains high amounts of fiber, phosphorous, and Vitamins C, B1, B2, and B3. Leaves are a good source of calcium, iron, phosphorous and vitamin B.
you can use them as an ornamental plant. Medicines use Ripe fruits to cure diabetes. They are good against leukemia. They are an effective cure against ringworms and fungal infections. Discard the white core and seeds before cooking. Blanch in boiling water for 2-3 min. Soak the fruit in salt water. Cook the melon with garlic or chili peppers. We hope you like the article in case you have any queries or suggestions please feel free to comment below this post. I am satisfied to search out numerous helpful info here within the publish, we need develop more techniques on this regard, thanks for sharing. Thanks for sharing your tips for growing bitter melons. I won’t lie, but I don’t think I’ve ever seen these sold in my local supermarket. Maybe they’re a bit more specialised where I live? I think I’m going to do a bit of research into them and see if I can find them anywhere.